Sights from Asia’s Lusophonic Corner | What an Amazing World! It is almost 2pm in Timor-Leste (formerly known as East Timor) as our plane starts its descent towards Dili, the capital of Asia’s newest nation. The rugged green landscape below looks untouched and undeveloped, a stark contrast to an aerial view of Bali – where we departed – with its more developed tourism industry. Marqy, the East Timorese man sitting next to us, looks eager to be back after staying in Macau, Bangkok and several other places around Asia. A few minutes later we land at Nicolau Lobato International Airport, the country’s sole international airport which is served by less than five airlines connecting Dili with Bali, Darwin, and Singapore. The high roofs of the airport terminal remind me of images of Timorese houses, while the the country’s flag waves in the breeze – it must be a great source of pride for the East Timorese to see that symbol of nationhood hoisted on their land. Muito passado, mais futuro. A billboard written in Portuguese welcomes us as we walk down the tarmac towards the terminal building. 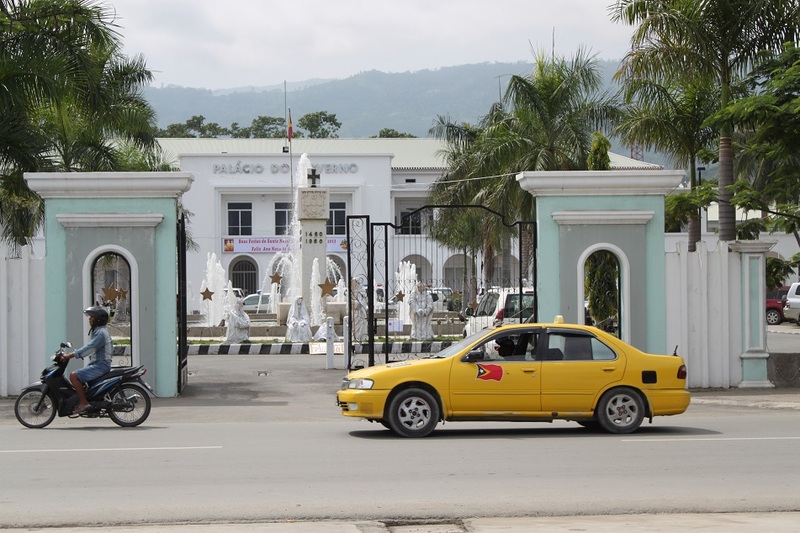 Timor-Leste is one of two places in Asia in the Lusophere – the other being Macau. However the Portuguese influence is much stronger here than in the Chinese SAR as I don’t recall ever seeing any billboards in Portuguese when I went to Macau almost two years ago. The airport terminal itself is an old and small building, jam-packed by incoming passengers from Bali with the arrival of another flight from the Indonesian island just a few minutes earlier. There is only one conveyor belt for the whole baggage claim area, and it moves very fast – too fast for most people – as they struggle to take their bags and suitcases without harming other people around, and themselves. On our way to the city center where our hotel is located I spot things that are normally seen in Indonesian cities. Indonesian restaurants, billboards in Bahasa Indonesia, and Indonesian consumer products are ubiquitous despite the end of Indonesia’s occupation in 1999 – the year East Timor voted for its independence. In the meantime, our driver plays an Indonesian song in his car, as do many other vehicles and foodstalls by the streets. Indeed Marqy told us earlier on the plane that the East Timorese are still able to speak Bahasa, except those who were born in the past decade. This brings back memories of Manila where I met three East Timorese who said that Portuguese is a lot harder than Bahasa. “Terlalu banyak verbo,” a woman explained, too many verbs. In fact, Tetum – the national language of East Timor – has a lot of loanwords from Portuguese and Bahasa. “Tetum’s vocabulary is 50% original Tetum, 25% Portuguese, and 25% Indonesian,” Marqy tells us. Many ex-UN cars fill the streets of Dili, sharing space with regular cars and motorbikes. However one flashy red sports car steals my attention in this unlikely place for such an automobile. 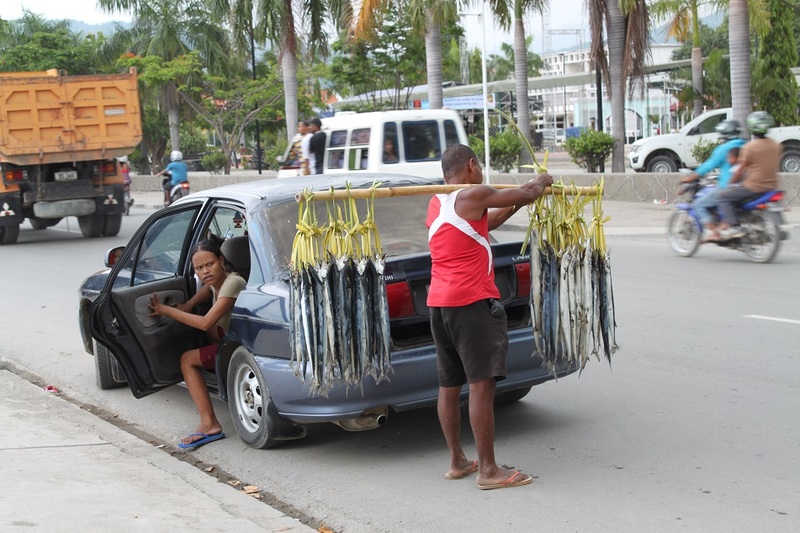 In the meantime some local men walk around with a pole slung over their shoulder, selling snacks such as boiled bananas and peanuts. Upon arriving at our hotel, two young men approach us, one with souvenirs of dried coconut and the other selling credit for prepaid cellular phones. We meet Carmen, the hotel manager who came from Madeira, Portugal to Dili more than 11 years ago when Timor-Leste gained its independence. She has been living in the city since then, including during turbulent times for the new nation between 2006 – 2008, when the army clashed with the national police. Telling her about our first impressions of Dili, including the city’s move in embracing modernisation by having its first glass ‘skyscraper’, Carmen is not impressed. It is not hard to see her point based on what I saw earlier from the streets. Youth unemployment is rampant and the economic gap between the handful of rich and the poor majority is very conspicuous. The country’s GDP has been growing rapidly in recent years as an oil export boom helps its impressive growth. A few years back I recall reading an East Timorese official stating that the country is aspiring to be the next Brunei whose oil wealth is spread among its people, making the small nation one of the most prosperous in the world. But what I have witnessed in Dili is a far cry from that. Not everyone is as lucky as Marqy. 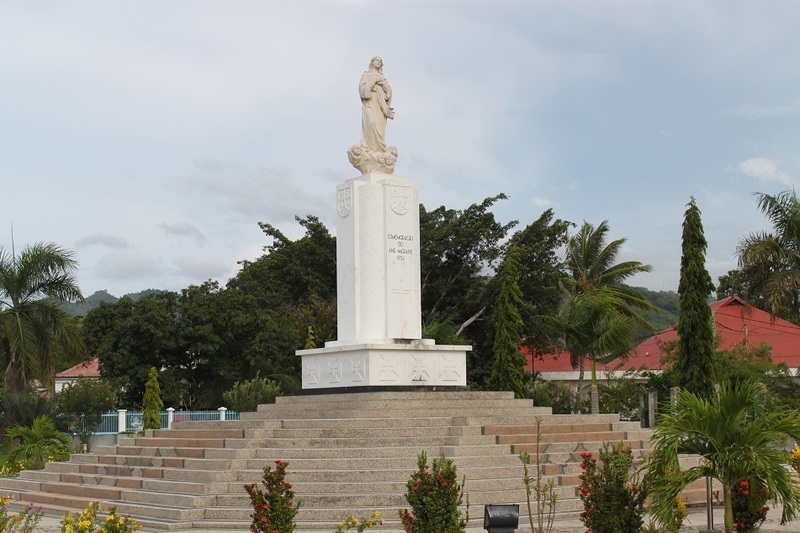 One of the most prominent landmarks of Dili is Cristo Rei, the 27m high Jesus statue on top Cape Fatucama to the east of the city center. The history of the statue is very much related to the history of the country itself and the struggle of its people. 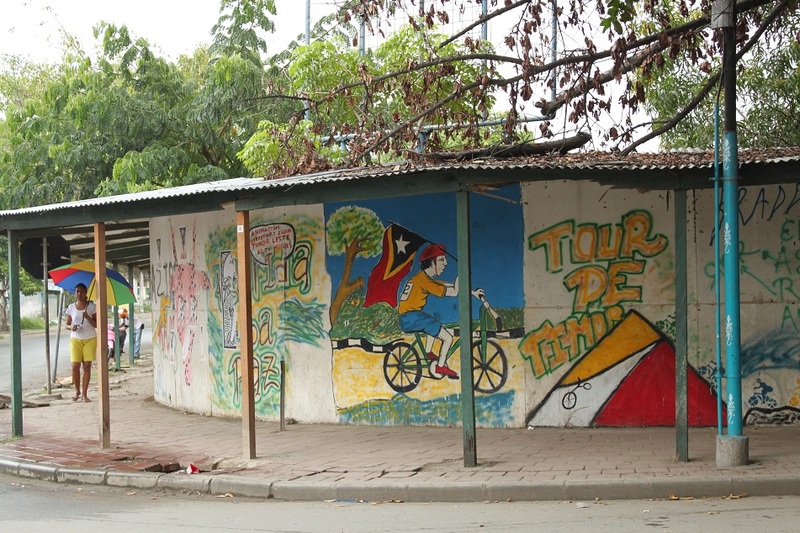 Once a Portuguese colony for more than four centuries, Portuguese Timor – as it was called – was abandoned in 1974 following the Carnation Revolution in Portugal which overthrew the dictatorship and brought the country into democracy. 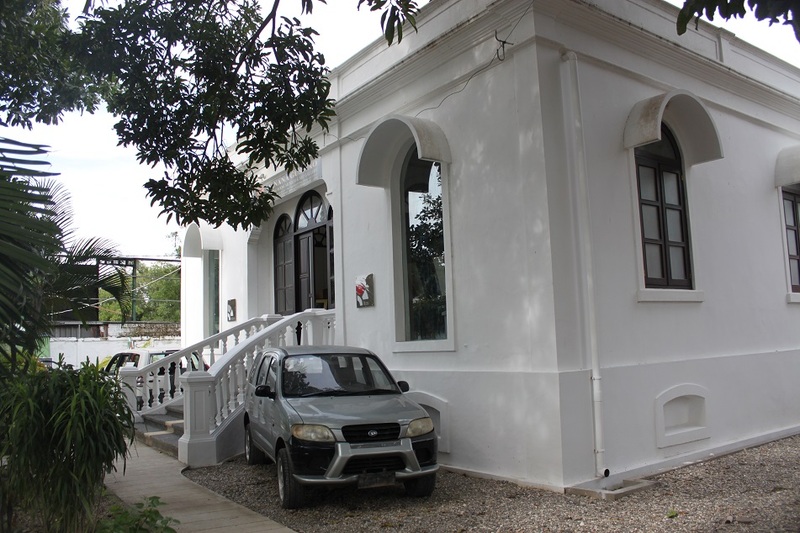 Political factions in East Timor sprang up not long afterwards, including the left-leaning Fretilin (Frente Revolucionária de Timor-Leste Independente). However the new independent country was soon engulfed in a civil war between warring factions with Fretilin emerging as the most powerful political faction. 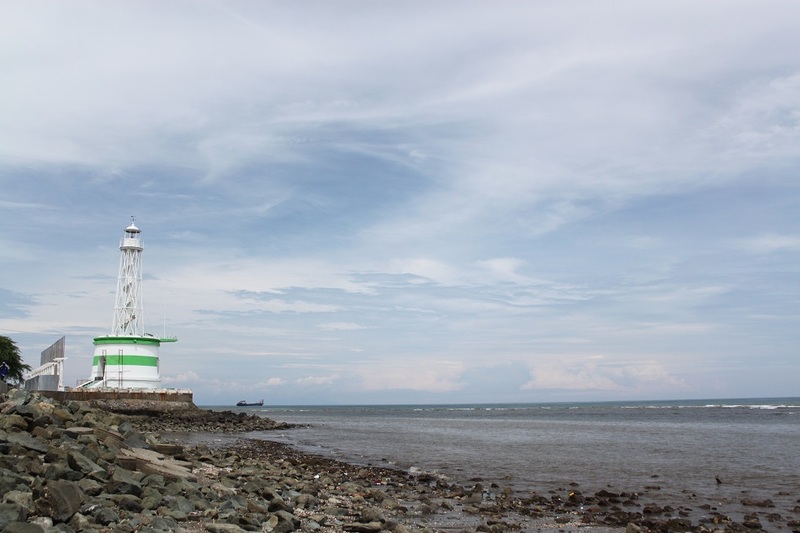 Hardline Indonesian military leaders saw the turmoil in East Timor as an opportunity to launch an invasion on the new country, similar to what India did in Goa years before and taking over control of the region from the Portuguese. Backed by the Western world’s fear that the new nation would fall under Soviet influence, and as a preemptive action to prevent a Cuban Missile Crisis from happening again in the backyard of a Western nation – Australia in this case – Indonesia with support from the US and Australia launched an invasion on East Timor and forcefully integrated the region as the country’s 27th province – an action that has never been acknowledged or justified by the UN. As the Soviet Union started to decline, so did support from the US and Australia towards Indonesia’s annexation of East Timor. Increasing insurgencies in East Timor in the 1980s did not help conditions get any better and eventually in 1991 a massacre by Indonesian troops in Dili on East Timorese protesters sparked worlwide condemnation, encouraging more organized action to promote East Timor’s independence. For millennia political leaders have known that religion is one of the most effective ways to garner support of the people. That was exactly what former president Suharto did by commissioning the construction of a large Jesus statue in Dili, hoping it would buoy East Timorese sentiment towards Indonesia. 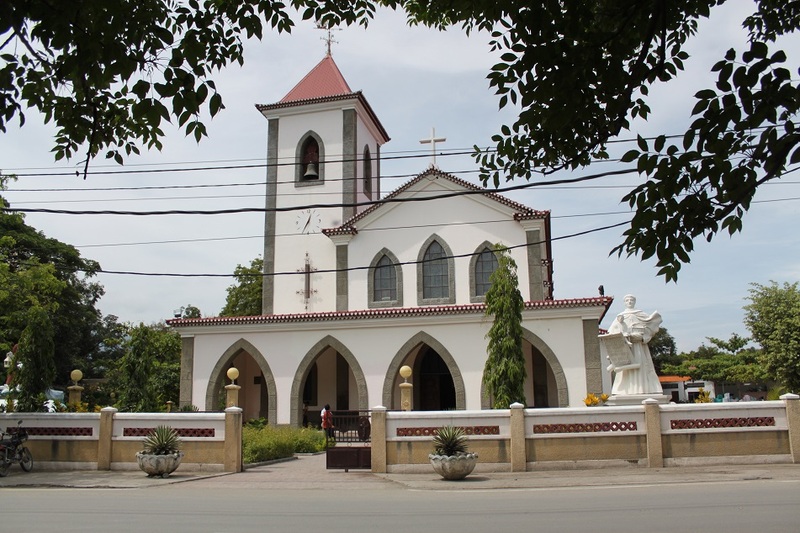 Today Timor-Leste is in fact one of only two predominantly Catholic countries in Asia – the other being the Philippines. 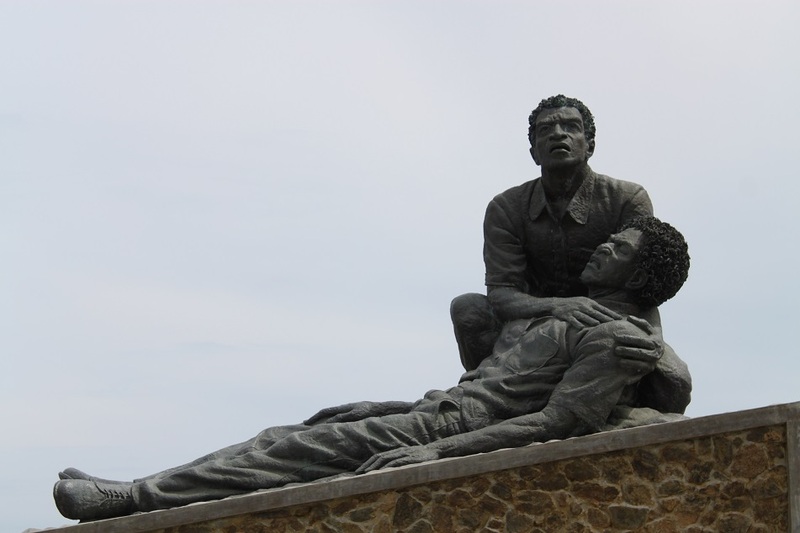 However the statue itself is potent with Indonesian propaganda: The height of the statue symbolizes East Timor’s position as Indonesia’s 27th province and it faces west, towards Jakarta. 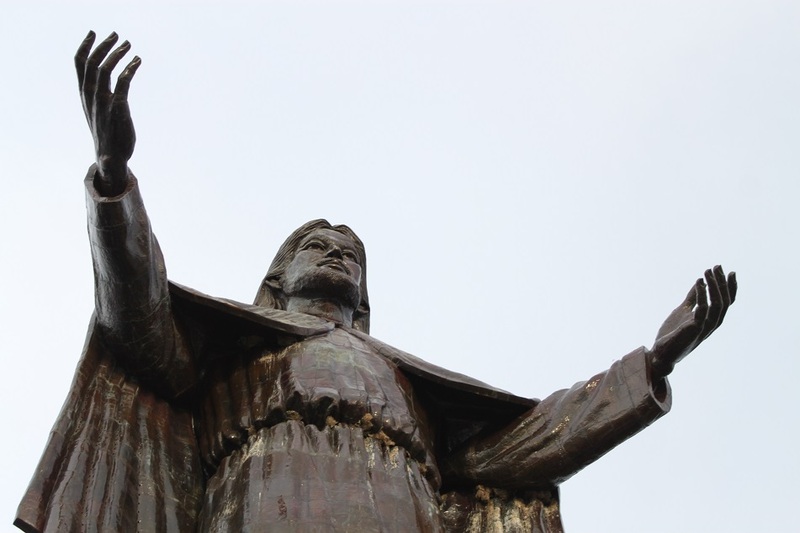 Two years after the completion of the statue, known as Cristo Rei, the unimaginable happened. Indonesia was hit hard by the 1997/98 Asian Financial Crisis which eventually led to the fall of Suharto regime. In the aftermath of the political turmoil, a transition period was led by Bacharuddin Jusuf Habibie, who proposed a referendum for East Timor to vote for either independence or the choice to remain in Indonesia as an autonomous region, a gesture he hoped would end the decades-long struggle in East Timor. However, the move was very unpopular among Indonesian military leaders which resulted in an unthinkable bloodbath following the results of the referendum where an overwhelming 78.5% of East Timorese voted in favor of independence. The UN soon sent an interim mission for peacekeeping in East Timor, urging the Indonesian military to retreat, which left a bloody trail in its wake. 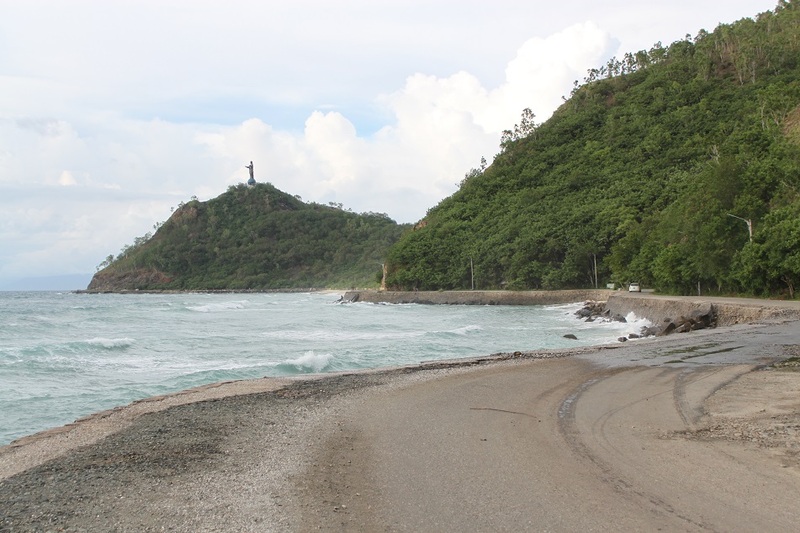 My trip to Timor-Leste’s second city of Baucau soon revealed the atrocities conducted by the belligerents during the struggle for independence and the post-referendum chaos. 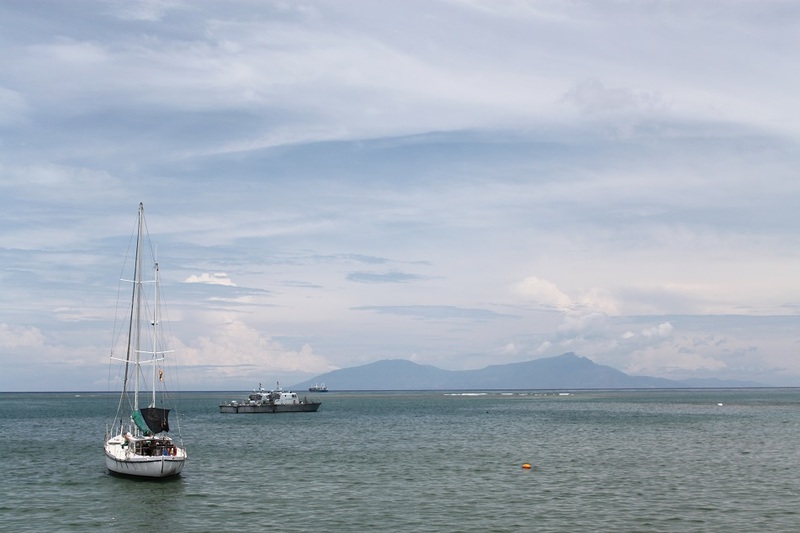 Back in the sleepy waters of Dili, three cargo ships are docked in Dili Port. From their names I can tell that they are all Indonesian: Tiga Anugerah, Raja Ampat and Mahakam River. In supermarkets and kiosks around the East Timorese capital, Indonesian products dominate the shelves. Despite the thorny relationship between the two countries in the past, both share so many things in common, too many for any future frictions. 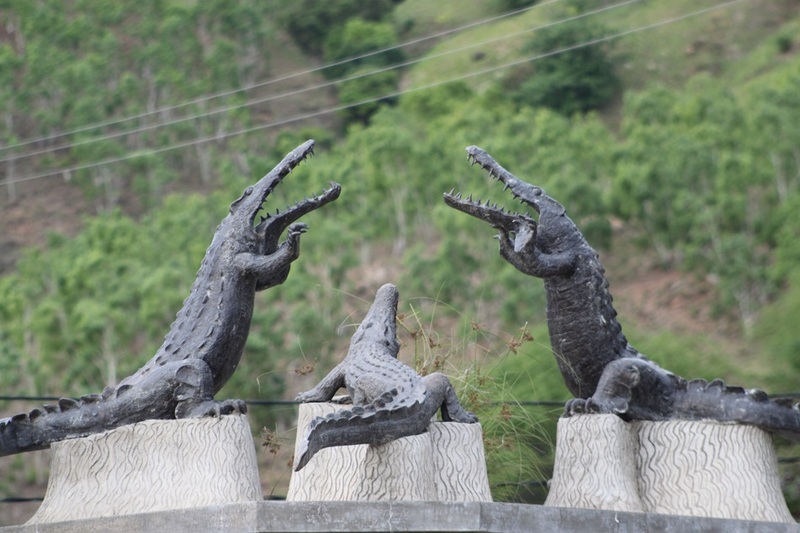 Some East Timorese believe that crocodiles are their ancestors, hence they are venerated animals in the country. In fact both the northern and southern coasts of the country are crocodile habitat. “The crocodiles in the north do not eat people,” a man from a tour company tells us. “The southern beaches are great for surfing and skin diving, but crocodiles there are too aggressive” he adds. 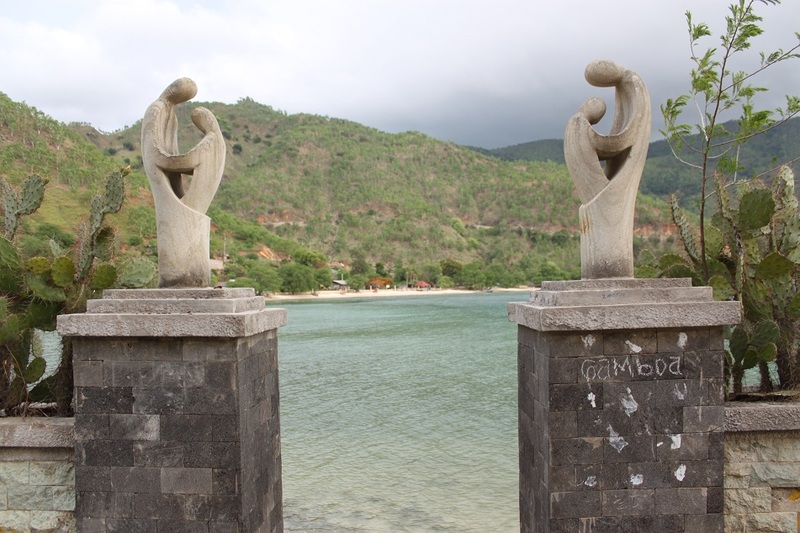 Soon after that conversation, James and I book a tour to Baucau and Venilale to the east of Dili where a journey to better understand the country and its history awaits. Wonderful photos, Bama! 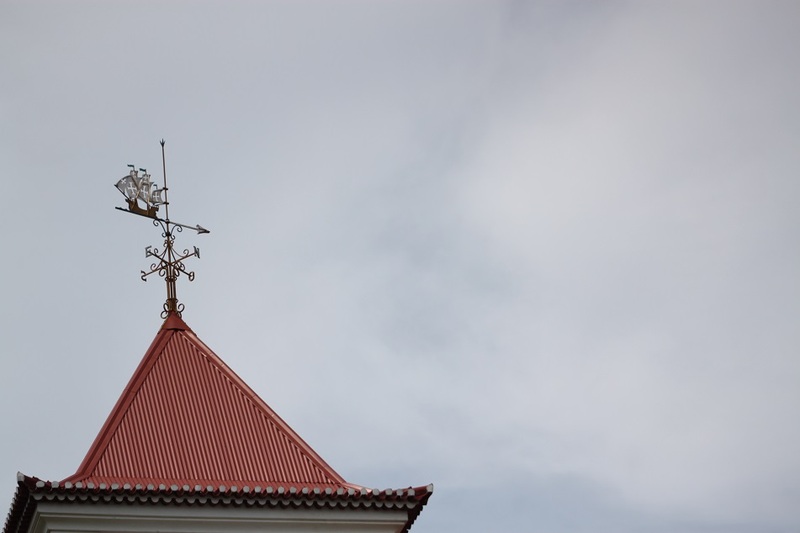 Can’t believe I missed the Portuguese Carrack on the weather vane atop Motael Church – you’re far more observant than I am! 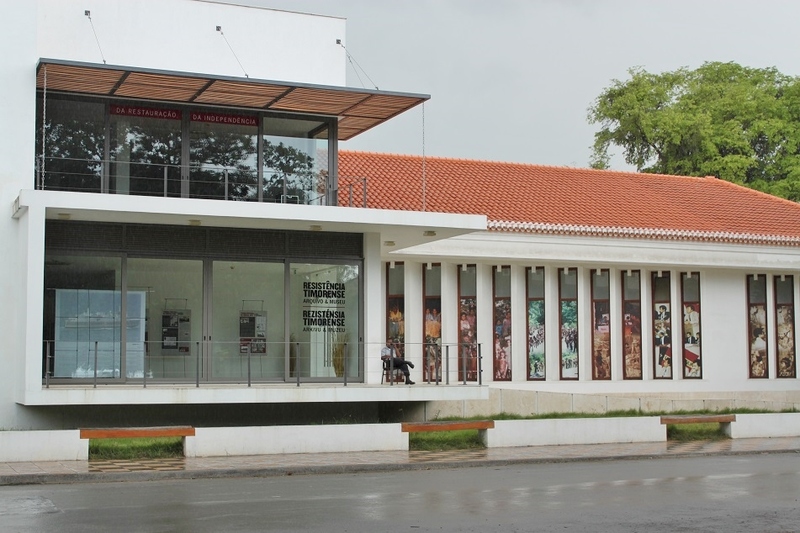 It’s a shame the Resistance Museum was closed the entire period we were there… and how interesting to read about Dili from your point of view, you kept saying how it felt like a smaller city in more rural parts of Indonesia. Thanks James! I guess when it comes to who’s more observant, it depends on many things. I remember in our previous trips there were moments when you were more observant than I was. Even though we couldn’t go inside the Resistance Museum, but at least you got a nice surprise by seeing how your design from your time in college would look like in real life should it ever be built. Or maybe it was indeed based on your design? 🙂 One day when we travel around Java you’ll see why Dili reminded me of some small towns in Indonesia. Thanks Bama for sharing these beautiful images from one relatively less known place. And the notes are so informative. You’re welcome, Sreejith! 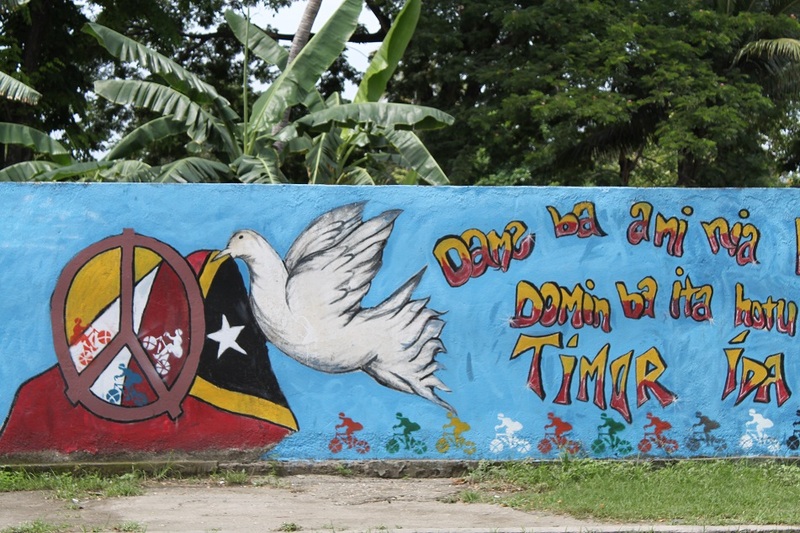 As Asia’s newest country which is right next door to my home country, Timor-Leste indeed deserved a visit. It was such an eye-opening journey to me and hopefully my stories can give a better view on this less known place. Have a nice day too! Thanks Halim! It has the potential to be a great travel destination, but as a new country it has huge challenges to make things work and bring real benefits for its people. Iya itu yang di belakang patung Yesus pantainya masih alami banget, belum disentuh pembangunan sama sekali. There have been so many unjust actions in the world and more often than not the Western world is the culprit. However developing economy powerhouses are growing rapidly, creating a better balance to the world, albeit not yet perfect. But the thing is somehow it seems like the destructive patterns keep repeating themselves, creating an endless vicious cycle. It’s our role as global citizens to voice out our concerns and do as much as we can to make things better. Thanks for your profound comment! That’s the thing – the destructive patterns are repeating themselves, because in some sick and twisted way, that is how progress is made. Only, in this day and age, these nations are held accountable for their actions (which is obviously a good thing), but it just frustrating that the Western powers aren’t held accountable for their past wrongs. And now, they seem to still be able to get away with things, because they know how to create policies and laws which will protect them…. It always gives me little chills of delight when I hear/read people use the term ‘global citizens’ – that is how I wish everyone thought. If we did, then perhaps we would take more of a collective action to fight the injustice and problems that plague our society. Bringing everyone into one global community is definitely not an easy thing to do, if not impossible. But bringing hope of change is much more plausible. Very interesting! Bama, could you please stop using “Bahasa” to refer to Bahasa Indonesia? The language’s name is Bahasa Indonesia or Indonesian. Bahasa is derogatory and is used only by ignorant foreigners, which obviously you are not. 😀 Thanks. Thanks Eki! Mas Eki yang baik, honestly I’ve never seen the use of ‘Bahasa’ in referring to Bahasa Indonesia as derogatory. I do appreciate your opinion though, but let us put it this way: if there is an ignorant foreigner who might not even know where Indonesia is, he/she would most likely refer to the language as ‘Indonesian’. But being able to refer to Bahasa Indonesia as Bahasa to me shows one’s decent amount of knowledge about Indonesia and the language spoken in the country. Plus saying ‘Bahasa’ in casual use is much more practical for most people. That’s IMHO. The word ‘bahasa’ has made it into the dictionary, but in it you will find a note (or reference) that Indonesian is the preferred term. The choice is yours, I know. But such is a political choice that shows which side you are taking. Again, it is your choice to make. I’m not trying to impose on you the view. I’m just appealing. However the nature of any language is constantly evolving. English is widely accepted throughout the world not only because of past political dominance of the UK, then the US, but also because of its flexibility in absorbing new words. As we all know that selfie is one of the most recent additions to English vocabulary. Referring to James’ comment, I wouldn’t be surprised if one day delima became pomegranat and jeruk bali became greprut in Bahasa. Bahasa Indonesia itself has so many loanwords from other languages to begin with, so I don’t think it’s relevant to bring up national dignity issue on this matter. So again, unlike Indon which is widely considered a derogatory word in referring to Indonesian migrant workers abroad, I do not see using the term ‘Bahasa’ is derogatory by any means. Nevertheless this is a healthy debate and I’m kind of glad, in a way, because as you know we might not be able to discuss about such thing in the past when freedom of speech was only a dream in our country. Hope I’m not being rude here, but I would like to contest Pak Eki’s point of view. As an “ignorant foreigner” who has heard the term “Bahasa” commonly used by family, friends and work colleagues who are frankly, very well-informed about Indonesia, I’m more disturbed by the fact that he labels all of us in this way simply because we don’t use the correct Indonesian term in daily conversation. I’m from Hong Kong and English speakers here frequently shorten the word “Cantonese” to “Canto”, and I fail to see any offence or derogatory meaning in that change. Personally I have my reservations about the idea of language purity and how it plays into nationalism, regardless of where you’re from. It also irks me when people choose to politicise the issue when really most language users do not see it that way. The concept of language dignity is a flawed one, and it opens a whole can of worms. On that basis you could argue that all foreign loanwords should be eliminated – perhaps someone should find more “Indonesian” forms to replace keju, bendera, gereja, bakso, kue, mie, buku, dasi and kantor and many more besides. The argument also conflicts with the particularly Indonesian trait to contract words and phrases. Should Taman Nasional Wakatobi now be called Taman Nasional Wangi-wangi-Kaledupa-Tomia-Binongko? The name Wakatobi is “lazy” and therefore not “dignified” under such a definition. Really appreciate your opinion James. Please read my latest comment on this issue which explains my position. What about young TImorese people, do they speak any Bahasa nowadays out of Tetum vocabulary? It kinda does. Actually if you’re a foreigner, speaking Bahasa would help you communicate better with most local people compared to English or Portuguese. I remember our hotel manager saying that older people speak Tetum with more Portuguese loanwords, while for younger people the Tetum they speak has more loanwords from Bahasa Indonesia. However Bahasa is no longer taught at school, so if you have a casual conversation with a local his/her Bahasa might sound a little hard to understand at first, but then you’ll get used to it. Wah nyampe juga ke mantannya Indonesia, gimana keamanan paska hengkangnya un di Timor leste? 🙂 Sebenernya ada di postingan berikutnya di seri Timor-Leste ini, tapi ini bocorannya: dari kacamata seorang berkebangsaan Portugal yang sudah menetap di sana sejak 2002, keadaan saat masih ada PBB jauh lebih rapi dan teratur. Thanks for the post, it brought back some nice memories. I lived in Timor Leste 4 year ago and haven’t been back since. Hopefully I can make it back this year, but I’ve been saying that for the last two years. The people there are so amazing. They taught me so much about humility and generosity. Oh yeah, and I hope you enjoyed the food there. It’s where I was introduced to Indonesian food. I think I need to get back there just for that reason alone. You’re welcome, David. So were you in the country during the turmoil? I feel like the the more I went to the countryside, the friendlier people became. There was this bunch of kids from a village halfway between Baucau and Venilale. They were just awesome and adorable. Actually I tried more Portuguese food when I was in Timor-Leste because I was not well-acquainted with dishes from that part of Europe. I loved them all. Hopefully you’ll be able to go back to Timor-Leste sooner than later! What an informative piece. Thank you for sharing your knowledge on this part of the world. My pleasure. More stories on this country are coming up very soon. Thanks for dropping by! Wow! Your pictures are stunning and a truly informative post. Thanks, Bama for sharing this. Thank you Aggy, and my pleasure! I hope my post series on Timor-Leste can bring more perspectives for us, Indonesians, on what actually happened. Another very insightful post Bama. Surprised by how fresh and clean the buildings look! PS: I detest nationalism of any kind as well. Almost as much as I detest the use of religion to divide people. Have been witness to the devastating effects of both here, over decades. As someone who grew up in Indonesia where races and religions are as diverse as the country’s 300-odd local languages, I have been constantly faced with seeds of chauvinism and religious fanaticism among the largely tolerant society. From my observation education holds a crucial role in curbing those things, which is not an easy thing to do with very limited budget. But hope is there, more people are taking part in educating the nation, by any means. I agree. Education is the only solution. Hi Bama, interesting post. 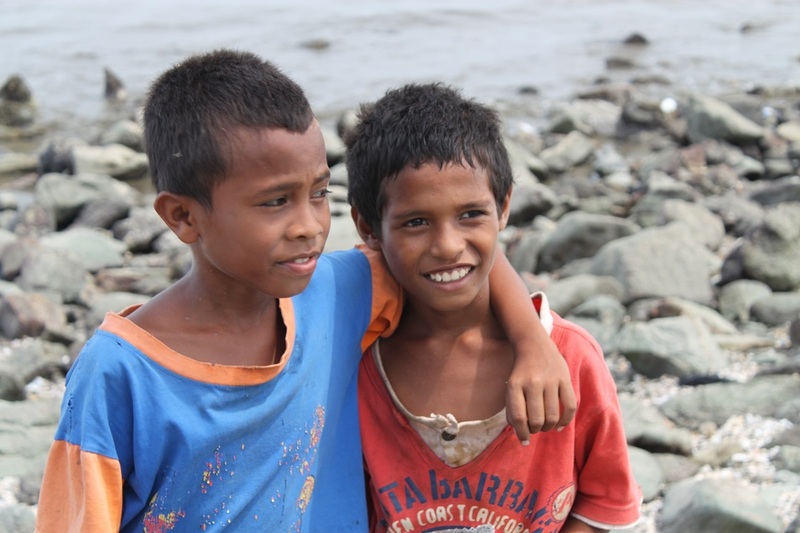 I’ve been curious as to the condition of the people of East Timor these days. Sad to learn that the government focuses more on supeficial “growth” than real “development.” I guess that’s the typical tendency in third world countries- there’s a need to show off superficial growth to prove that they are doing better. This tiny country has gone through a lot and I root for them to be able to pick up the pieces soon. Your photo collections certainly give a good glinpse of the country. Very insightful post. Hi Marisol! Thank you! The same pattern happens in many place in the world where, as you said, leaders focus more on building modern skyscrapers and grand palaces while the money could have been spent on more important things such as education and health. For the sake of East Timorese future, I hope that won’t be the case. Thanks for a most informative history lesson! The comments made by you and another reader just above also apply to the US…spending tons of money on the superficial while the rest is crumbling. Religion there is creating many problems and divisions also. I recognize the red tree by the beach, as it is one of my favorites. In English they are Royal Poincianas, and here in Mexico are called Flamboyán or Arbol de Fuego (tree of fire). My pleasure, Marilyn! Of all countries in the world, I think the Scandinavians are the ones we should look up to. They don’t have the world’s tallest skyscrapers, or the most lavish palaces. But they are some of the most prosperous on the planet, with reasonably low Gini coefficient. Ah thank you Marilyn! I loved that tree as well, but I didn’t know its name. 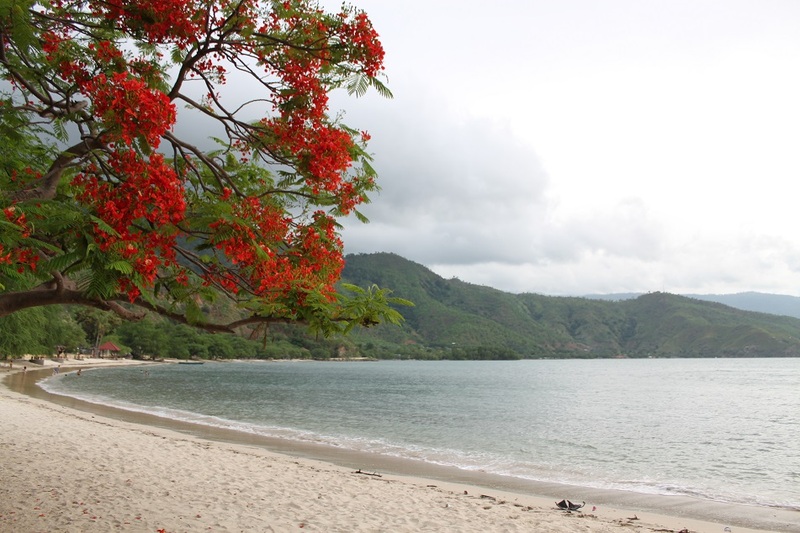 Arbol de Fuego sounds perfect to describe its flashy red flowers. Happy to be reading this a few days before the opening of the Lusifonia Games in Goa – which was a former Portuguese Colony and now a part of India – there are so many similarities. I didn’t know that this year’s Jogos da Lusofonia will be held in Goa, such an interesting place to hold the event! You will see some East Timorese athletes I believe, as they’ll be taking part in the games as well. Ah, thank you for the enlightenment! I realize due to the historical ties between ancient Indian and Indonesian kingdoms, particularly during the height of Buddhism then Hinduism in Indonesia, now we have a lot of loanwords from Sanskrit. Diak ka lae? 🙂 I’m glad you got to visit Timor Leste, which isn’t a very well known country. I visited in 2009 and really enjoyed my time. I recognised quite a few places in your photos so thanks for bringing back some good memories. Did you get a chance to go out to Atauro Island? Hello, Bama. 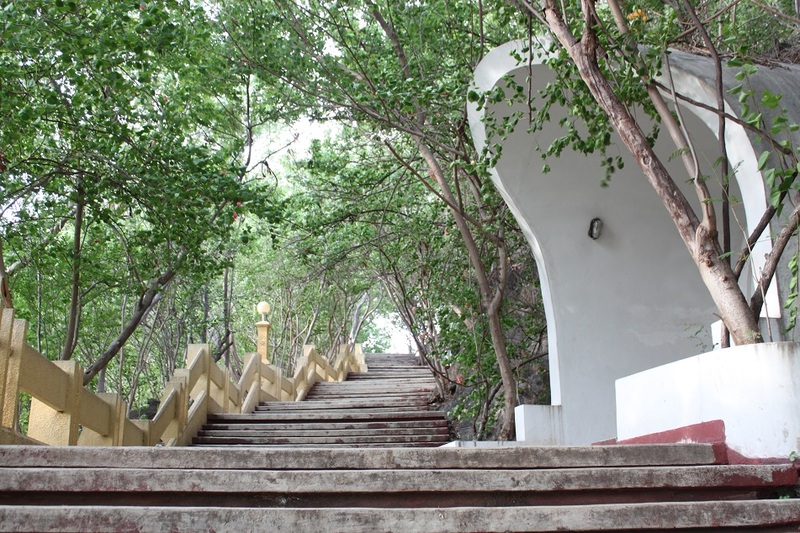 Would you mind sharing the information about the tour company you went with to Baucau? Thank you. I don’t think they have website though, but their office is quite easy to find. Just look for Casa Europa and walk down the street until you find it. Terima kasih! I will definitely drop by their office. I’m learning from your posts about TL. 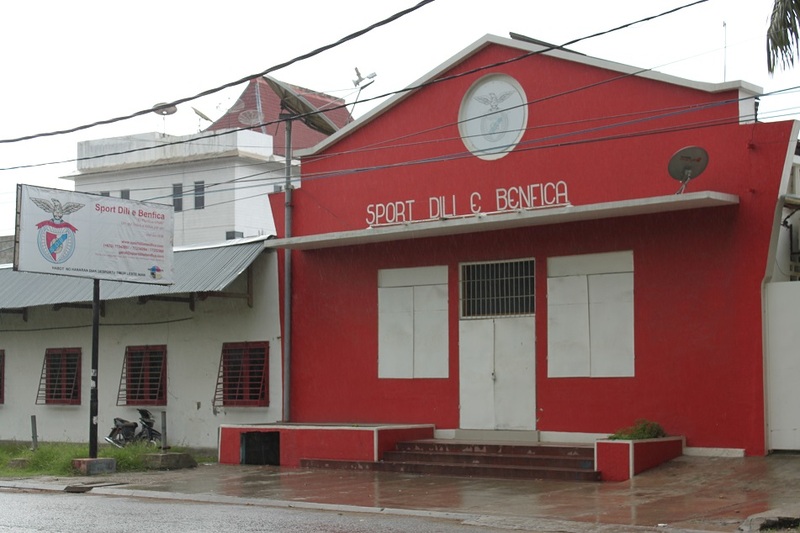 Although I’ve read about its history, it’s good to hear locals talk about their country’s past the same way Johnny did. Real or not, it is a perspective I’m eager to explore that’s why I’m going there. 🙂 Anyway, thanks for the tips and please post more. My pleasure! They provide tailored tour, so it would be better if at least you have some ideas of which places and cities you want to visit and let them help you decide the itinerary. Actually I’ve written all my posts on Timor-Leste and next month I will start a new series on Bali – been there five times but I always new things. Enjoy your trip to Timor-Leste! I see. Thanks for that. Yup, I already read your TL posts. Looking forward to the next series. I’ll have one night in Bali before going to TL and will see Tanah Lot which I missed the last time. Thanks again! Have you been to Ubud? I personally prefer it to Tanah Lot. Or if you have more time go to the eastern coast to see the former royal palace and water gardens. Yup, I’ve been there. How I love Ubud! We even went up to Amed last time. I wasn’t able to see Tanah Lot last time. Ah, okay then. The last time I went to Bali I stayed in Ubud and it was the best trip to Bali ever! Enjoy Tanah Lot! I’m Jealous!!!! Timor-leste is on my must-visit list for next time I get to Asia! If it was up to me I’d be there tomorrow! But alas it will have to be 2016. That’s okay. I have a feeling that Timor-Leste will still be that little ‘hidden’ treasure in Asia by then. Great learning something more about Timor-Leste. I didn’t know that the Portuguese influence was so strong. Tetum sounds exotic and Timorese people look very exotic as well! Your photos give me impression that the nature there is so pristine. 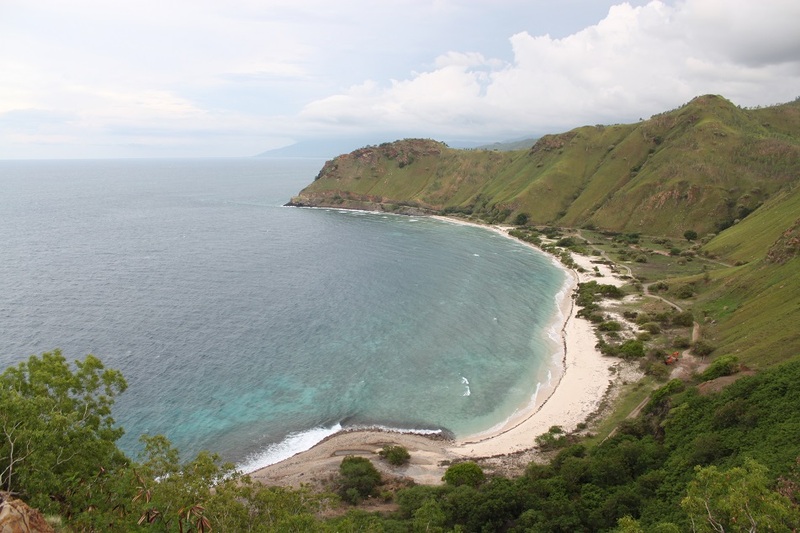 I love the beach near Dili. Fantastic post! 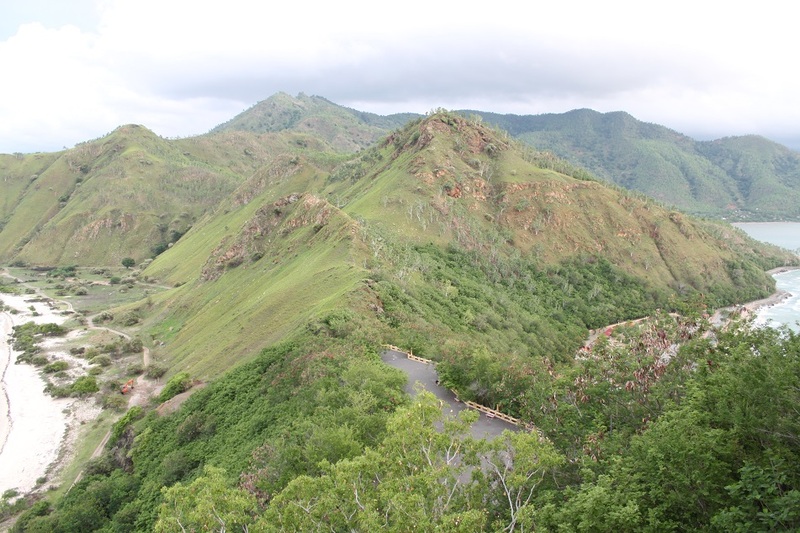 Timor-Leste is probably among the most underrated countries in Asia. Portuguese influence was palpable during my stay in Dili, and since its independence in 2002, Timor-Leste has been using Portuguese as one of its official languages. If only I had more time I would have explored the country’s far east. 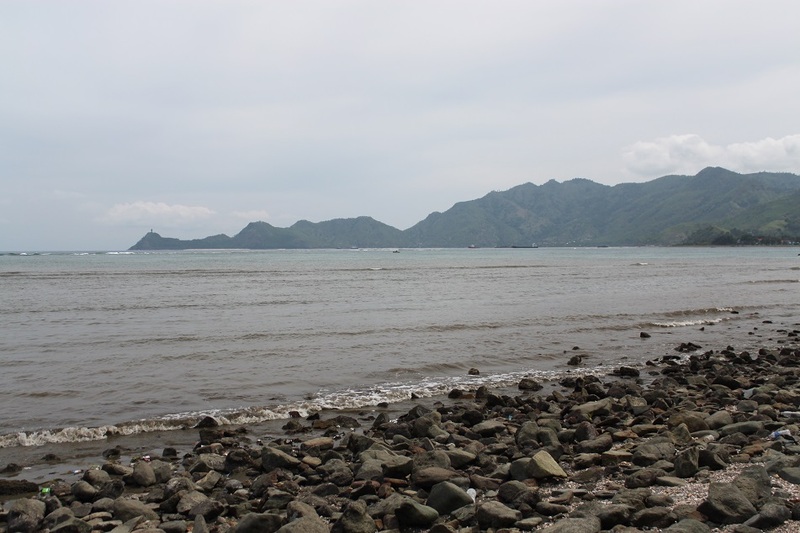 People say the beaches there are even more pristine than in Dili. Always appreciate your kind comment, Pooja.